There is something about me and baking that doesn't connect sometimes. But I am not one who gives up easily, so persistence is my choice of weapon. If you read my previous post about the two cakes I baked, Torta Paradiso and Yogurt Cake with Pears, I encountered problems in baking them. Being a novice baker, I'm sure it's normal and some of you could have gone through frustrating moments too before arriving to the perfect cakes. 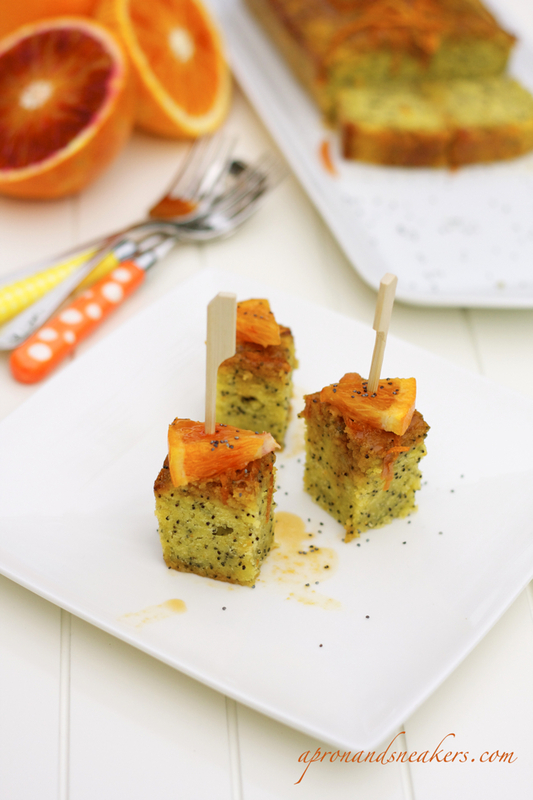 So here is the second orange cake that I mentioned in my previous post, the Olive Oil & Orange Cake with Pistachios. It was a day when I had a big orange cake fix to satisfy that growing craving. 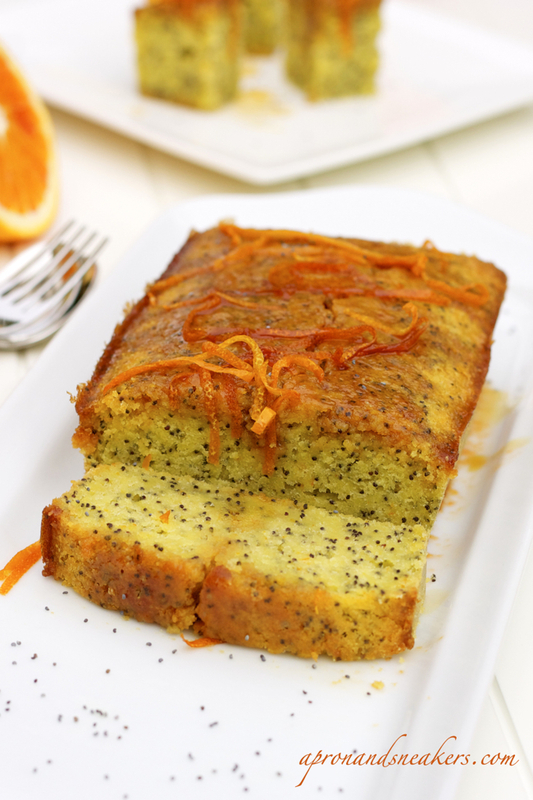 Two types of orange cakes, both astoundingly delicious and moist. Then where did I go wrong? This cake was originally in a 20 cm. round baking pan, following what was written in the directions. I was very satisfied with myself because I followed the directions to the letter. I had the same smug smile as my first grader son when he finishes his homework with good results. However, as I was putting the pan in the oven, it slipped from my hands after I got distracted by a playful shriek from Sofia, from down the corridor. I had a big mess of batter all over the oven. God, it was an accident that you just imagine that happens, not something that can actually happen to you! Half remained in the pan and half was dripping from the open oven door down to the floor. It was a big job to take away the oven door, three panels in all, wipe them clean and empty every little crevice in the oven. 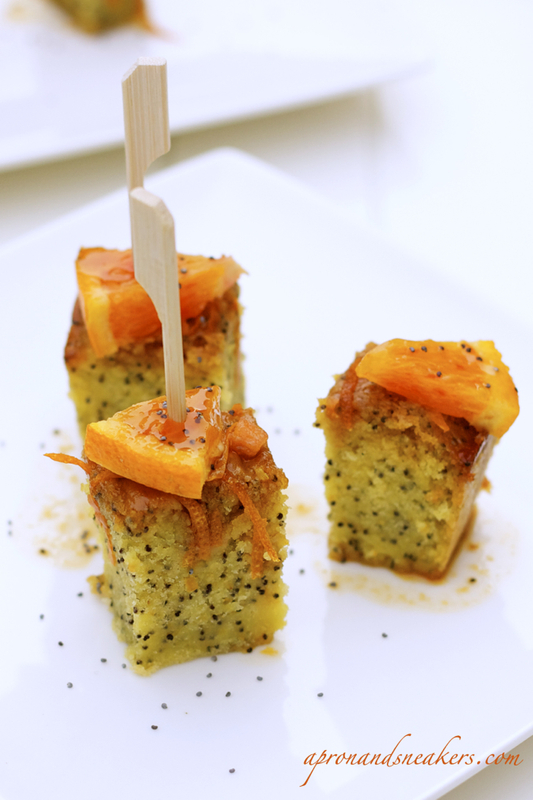 I was on the verge of hating the sight of poppy seeds and cake batter. You can see them everywhere. So that is why my cake was halved, unintentionally, caused by a big messy accident. Nonetheless, it came out perfectly and tastes so good. Try this cake but make sure it arrives inside the oven safely. Recipe adapted from Donna Hay's Modern Classics 2 Cookbook. 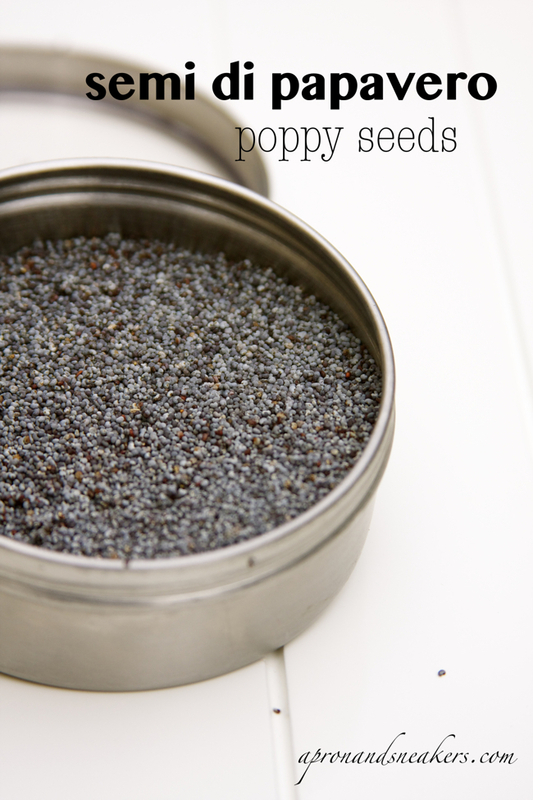 Place the poppy seeds and milk in a bowl and stir to combine. Set aside. Place the butter, orange rind and sugar in the bowl of an electric mixer. Beat until light and creamy. 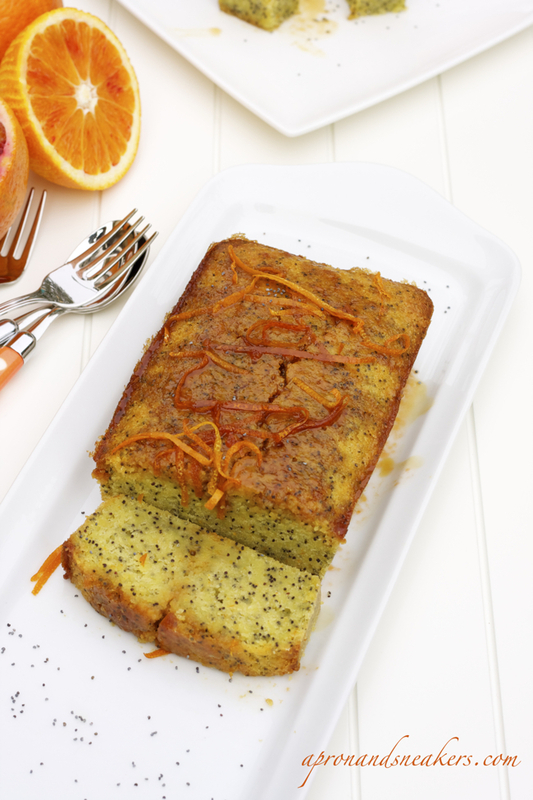 Sift the flour and baking powder over the butter mixture and add the orange juice and poppy seed and milk mixture. Stir to combine and spoon into a 20 cm round cake tin lined with non-stick baking paper. Bake for 55-60 minutes or until cooked. Test with a skewer. While the cake is cooking, make the syrup. Place the sugar, orange juice and orange rind in a saucepan over low heat and stir until the sugar is dissolved. Increase the heat and boil for 5-6 minutes or until syrupy. Pour half of the hot syrup over the hot cake. To serve, cut the warm or cold cake into wedges and pour over the remaining syrup.